Did you know Vitamin D helps the intestine absorb nutrients, including calcium and phosphorus. This ensures strong bones and a strong immune system. 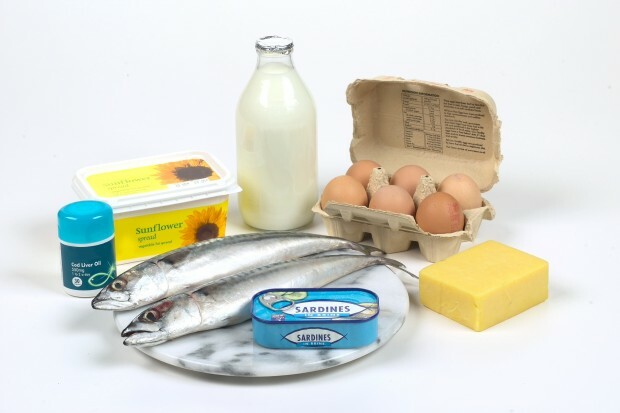 Vitamin D provides calcium balance in the body that prevents osteoporosis and arthritis. It regulates blood pressure, reduces stress, relieves body aches by reducing muscle spasms, reduces respiratory infections, helps in differentiation of the cells, helps fight depression and improves overall skin health. On top of that it is believed to help fight several diseases! These are just a fraction of the health benefits, but the focus of this post is on how to obtain healthy levels of Vitamin D during the winter time when you lack exposure to the sun. Categories: Nutrition, Wellness | Tags: health, healthy, nutrition, vitamin d, wellness | Permalink. 1) contain oleic acid, a monounsaturated fat that helps lower ‘bad’ cholesterol and raise ‘good’ cholesterol. 2) are a good source of potassium, an important mineral that helps protect against high blood pressure, heart disease and stroke. 3) help increase the body’s absorption of carotenoids, which are powerful antioxidants that help protect cells from free radical activity and strengthen the body’s immune system. 5) contain vitamins A, B1, B2, B3, C, K and they’re high in vitamin E (which slows aging). 6) are low in sugar, starch-free and are a good source of dietary fiber, perfect for slow burning energy without a sugar crash. 7) are a good food choice for diabetics or those with other sugar-sensitive conditions. 8) improve your complexion because they are full of Vitamin E, which provides moisturizing assets through both consumption and topical use. Categories: Diet, Nutrition, Wellness | Tags: health, super food | Permalink. – The key is moderation. – Snack on a something naturally sweet such as fresh fruit, or reach for brain food like whole grain carbohydrates such as pasta to improve your attentiveness. – Serve up fish rich in omega-3 fatty acids twice a week to give your brain the vitamins it needs to develop and function properly. – Studies also show a link between lab animals and improved learning ability when it comes to this blue fruit. – Popcorn contains vitamins B6, B12, and E, which are believed to enhance your memory and focus. – Not only are they high in Omega 3 Fatty acids, but Avocados also help lower bad cholesterol and reduce risk of plaque buildup to enhance blood flow and fuel your brain. – Loaded with antioxidants nuts and seeds also help give your brain long-term protection against the decline of your cognitive functions. – The Folic Acid in greens will help keep your mind sharp. – Fruits, dairy and cereals that are high in fiber and low in calories. – Vitamins like B, C, E, and nutrients like beta-carotene, magnesium, ginseng and ginkgo are thought to help enhance your memory and ability to focus. Categories: Nutrition | Tags: health, women | Permalink. Technomic conducted a survey of restaurant consumer attitudes and found that 65 percent favor such labeling in restaurants, with the strongest demand for listing of calories and sodium content. Bob Goldin, Technomic’s executive vice president and director of the referenced study, believes these results show that consumers are increasingly demanding more transparency from restaurants. “Consumers believe that more readily available information will help them make more informed choices when eating out. As a consequence, we expect restaurants will face growing pressure for more comprehensive nutritional disclosure,” he added. 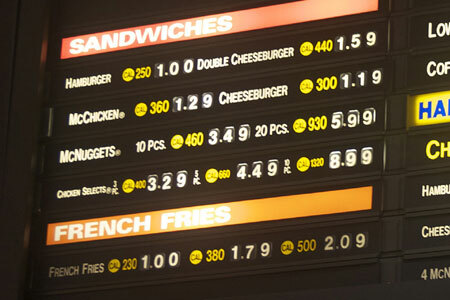 Categories: Diet, Nutrition | Tags: calorie count, consumer, fast food, health | Permalink.